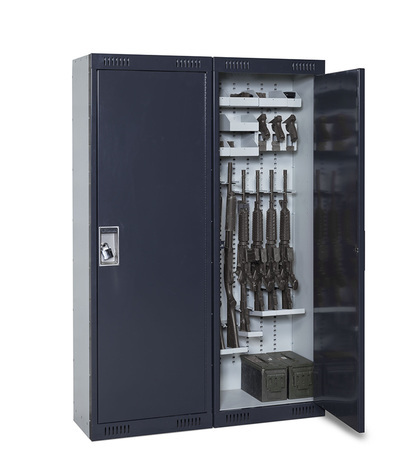 We now offer a few weapon storage locker options. 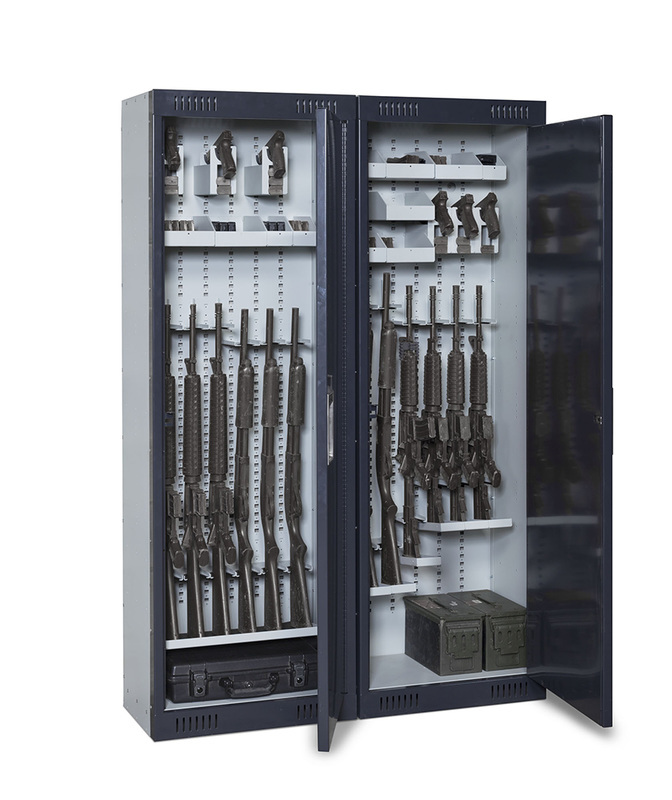 Our 48" high Compact Weapons Locker is a great solution for a smaller footprint, while the larger Weapon Locker offers the space for a few more configuration options and double wall doors for additional security. 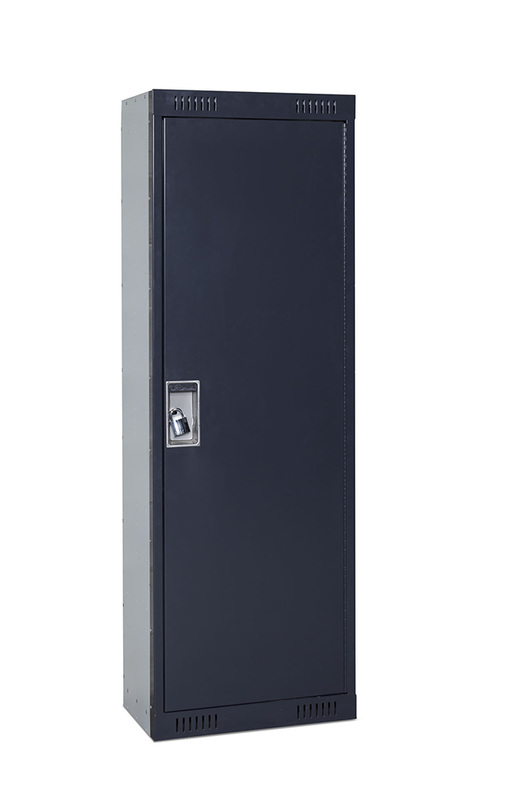 Please see our pistol or taser storage sections for information about our 4 compartment pistol lockers. Our NEW Weapon Locker was designed to look like a standard locker but inside is complete with a full Universal Weapons Component Back Panel. 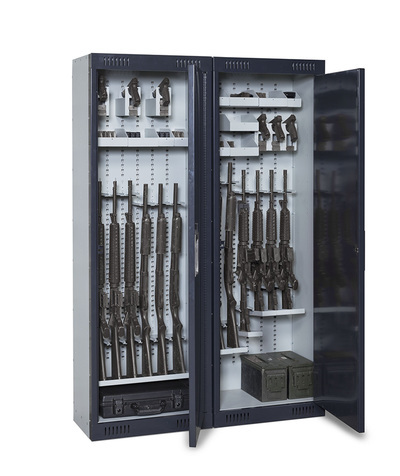 This unique back accepts all our standard weapon storage components and can be customized hundreds of different ways. 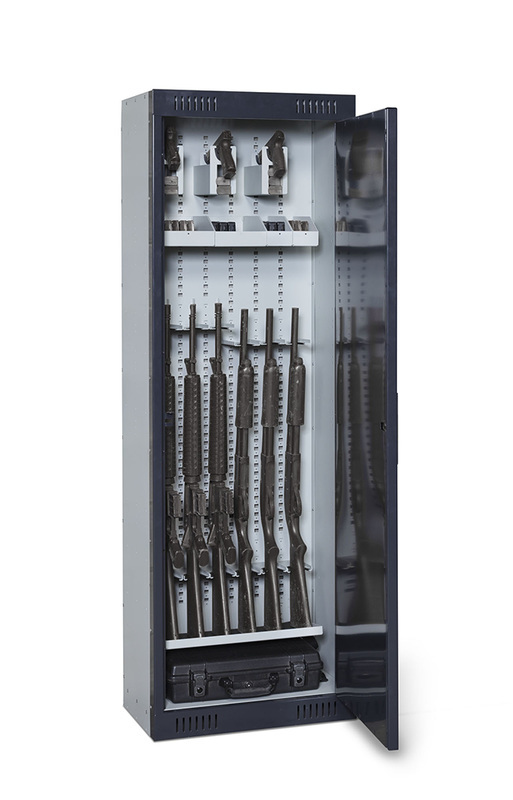 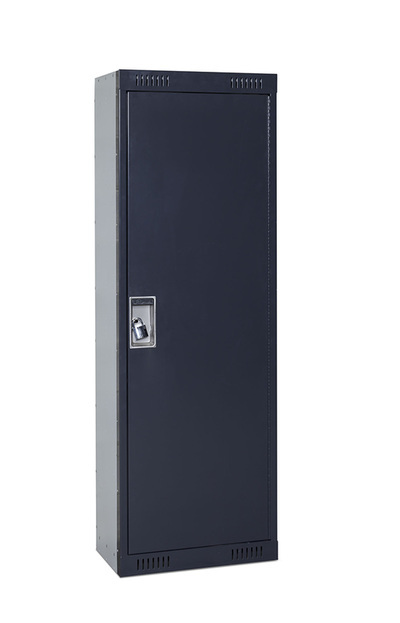 Individual or smaller requirements now have a solution with the Weapons Locker. Just as versatile as the standard stackable Weapons Racks, in a smaller foot print, these units can be secured to walls, floors and each other to create the ultimate in space efficiency.